From 2-6 January 2019, we’re taking TropOut back to Koh Samui– the famous island paradise, known worldwide for its beautiful palm fringed beaches, vibrant night life, and luxurious hospitality. TropOut Koh Samui also doubles as the Official Post White Party Bangkok Vacation- White Party Bangkok is Asia’s largest gay dance music festival. So whether you’re looking to unwind in style or to continue the party, we’ve created the perfect blend for you. Welcome to TropOut Koh Samui. 5 hours of dancing and meeting new guys from around the globe. We've got VIP access, free flow vodka and tune at the famous Green Mango. Grab your swimwear. Relaxation and water dancing await @ Alpha. Chill by the pool. Unwind with morning yoga. Relax with a massage. Discover TropOut Koh Samui by scrolling through your day-by-day itinerary. Welcome to Koh Samui! Once you’ve checked in, head to the pool and meet your new friends. We’ll be waiting for you! After a massive few days at WPBKK we’re taking it easy to start. One hour of free drinks and a extravagant feast will have you mingling with new friends. Start your day with a morning yoga class by the beach and a refreshing swim. Grab your swimwear – We’re off to Alpha for a day of relaxation and party. Your waiter is ready to take your order. Our yoga specialist George will stretch out the impurities and prepare you for the day. 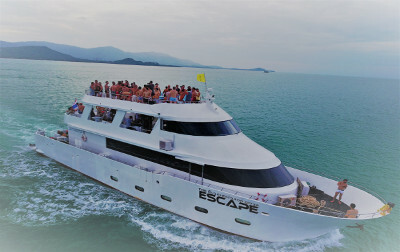 Experience a boat party in unparalleled style as we board a 95-foot yacht for a 5 hours cruise to the stunning Koh Phangan. Swimming stops are scheduled and our tunes will have you dancing as the sun sets over the bay. It’s your last day to take in the fresh air and unwind near the water’s edge. We head to the famous Green Mango, where you’ll be treated to a wild night of free-flow vodka and access to the DJ booth. This open-air club will have us going into the early hours. Our airport transfers will be waiting to transfer you to Koh Samui airport to catch your onward flight. All pricing includes accommodation at the stylish Casa de Mar (including breakfast), access to all TropOut parties (as outlined in the Festival Schedule), transfers to all parties and morning yoga (if you’re awake for it!). TropOut can only be purchased inclusive of accommodation, so you’ll share the experience with like-minded guys all in the same amazing hotel. Stylishly furnished room with private balcony located in main building. Spacious, stylish and located in the serene area of the resort, featuring and open terrace. Modern room with private beach terrace overlooking the stunning Gulf of Thailand. Stylish and modern, with your own private pool and terrace that will be the envy of others. Learn more about your host resort, WPBKK and the festival. Fronting glittering water of the gulf of Thailand, Casa de Mar offers an outdoor pool and a restaurant. This modern resort is just a few steps from the sandy beach of Chaweng, 0.9 miles from Ark Bar and 1.2 miles from Samui Airport. Guests can enjoy free WiFi throughout the stay. Offering a choice of private villa to cosy rooms, all units are fully air-conditioned and comes with a flat-screen cable TV, a seating area and a safety deposit box. Some rooms boast outdoor furniture and a coffee machine. Two bottles of drinking water is provide, daily. A shower, a hairdryer and free toiletries are standard in all en suite bathrooms. Tasty local and international cuisines are served at The Journey Terrace. A breakfast buffet is served daily from 07:00 – 10:30 hrs. Guest can enjoy special drinks or mingle with the other guests at the bar. Alternatively, a range of dining outlets can be found within a 5-minute walk of the property. 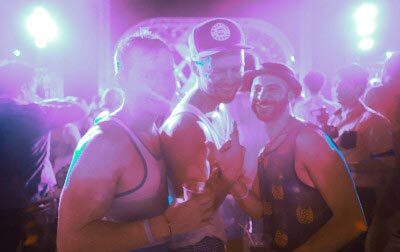 The world’s premier gay dance music festival, White Party (WP), launched in Bangkok, Thailand, in 2015 with 4 massive parties spanning over 3 days. It is the first official WHITE PARTY outside North America and the only Official WHITE PARTY in Asia. 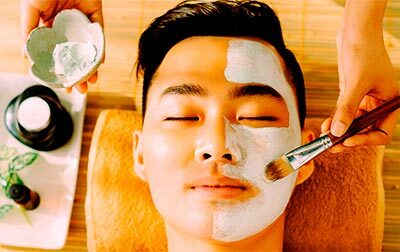 White Party Bangkok (WPBKK) has become Thailand’s largest gay New Year Festival with over 14,000 partygoers from Asia and across the globe. Within the first year, White Party Bangkok earned the following nominations from Just Circuit Awards: “Best Circuit Staging / Circuit Production,” “Best New Circuit Event” and “International Circuit Party of the Year,” confirming White Party Bangkok is produced at a world class standard and excelling at it. WHITE PARTY BANGKOK is created by Cloud 9 Inc., Thailand’s premier concert & event organizer, in collaboration with Jeffrey Sanker of WHITE PARTY PALM SPRINGS. The Festival is being produced in partnership with Media Vision and Light Source, Asia’s leading audio visual & production houses. 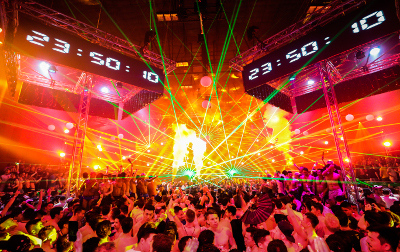 The organizers are committed to delivering a spectacular New Year’s party experience! Expect a party of epic proportions with eye-popping production headlined by world-renowned DJs and international superstar performers. Koh Samui has has daily domestic flights from Bangkok and a number international flights. For those looking for a longer journey, there is also a ferry option from Bangkok. Please feel free to get in touch with us at [email protected] if you need any assistance. How far is Casa de Mar from the airport? Approximately 15 minutes. If you have purchased transfers through us, are team will be on hand to greet you at the airport and to guide you to your transfer to the hotel. 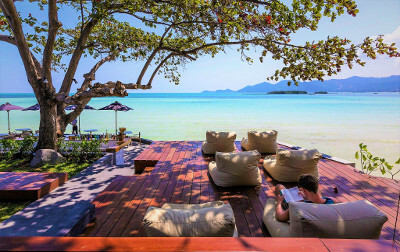 What if I want to spend longer than 5 nights in Koh Samui? How far is the beach from Casa de Mar? The hotel is situated on the beachfront. You can walk directly from the front of the resort onto the beach. What’s the Koh Samui nightlife like? We are located in Chaweng, a short walk from the epicentre of the action. There is always a pulsating nightlife with a large number of international guests, particularly during January.